Something happened during dinner preparations a few days ago that made me flee the kitchen, make haste down the hall, and find sanctuary in in my bathroom. Dear Readers, are you wondering what sent me fleeing? Will you treat me kindly when I tell you the truth? Readers, I fled to the bathroom because someone in my house was using a steak knife to get mayonnaise out of the jar. Of course, when I got schooled in the art of mayonnaise they were glass jars. Let’s just stop for a moment right here. I am being Really Real with you. Hear me out, please. I fled to the bathroom because someone in my house was using a steak knife to get the mayonnaise out of the jar, and I wanted to inform that person that using a steak knife was WRONG! I wanted to LOUDLY inform. I wanted to use raised fists and huffs and all of my redheadedness. You see, Reader, my grandfather Whitaker loved mayonnaise. 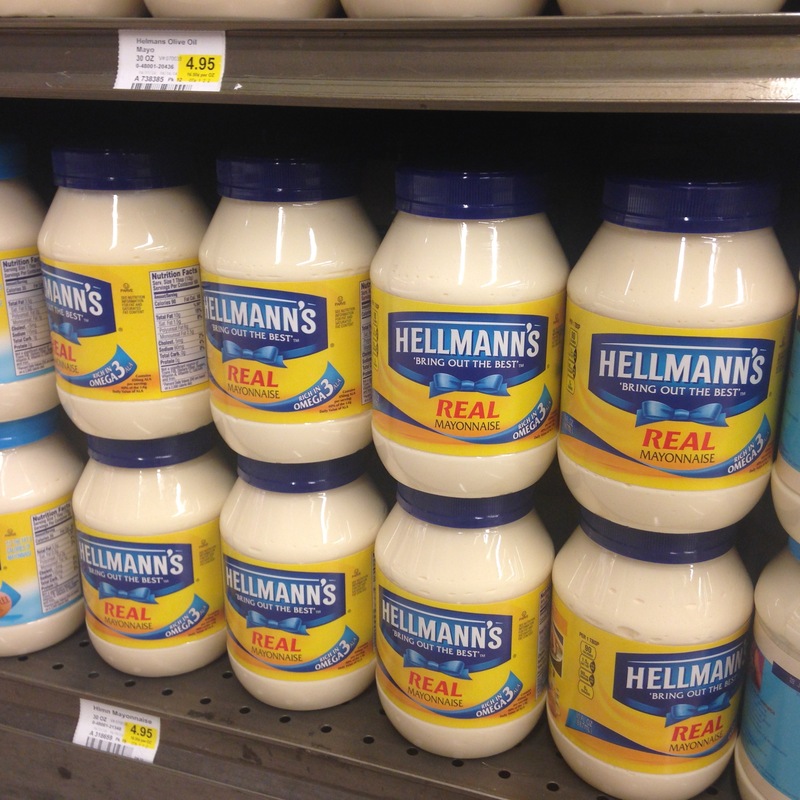 Not just any mayonnaise—it had to be Hellmann’s. He gently scooped his mayo out with a spoon as not to cut it. 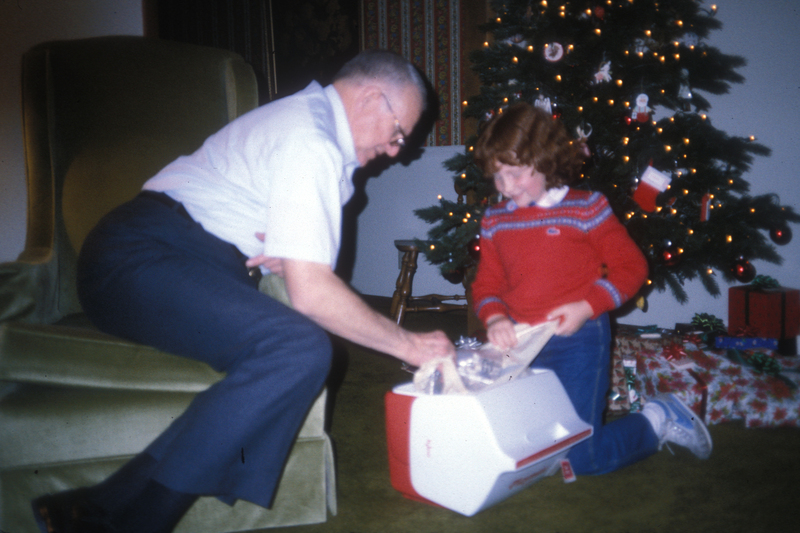 My grandfather was an engineer, an Air Force veteran, and one of the most gentle and quiet people I have ever encountered. He treated all he had, including mayonnaise, with respect and stewardship. I would not label him OCD; he was tidy. He practiced mise en place without knowing what mise en place was. He was orderly. He used tools properly—even lowly mayo deserved to the proper tool. I hate when trends repeat themselves, but I really like that sweater. When I was a young girl—about the age of my son now—I remember him teaching me about using a spoon. He was humble. There were no raised fists. No need for controlled breathing techniques. He just taught his life lessons with grace and quietude. A few days after my flight response to the mayo/steak knife debacle of 2014 I sat in bed and cried. I cried a few tears because I am not a teacher like Grandpa. I cried a few more tears because I had not treated the knife wielder with love and grace and a heaping spoonful of patience. I cried because I miss my grandfather. Most of my tears were shed because we are quickly losing a generation who grew up in the Depression, a generation who not only practiced stewardship, frugality, and reverence but also lived and breathed it. I cried because I see those aspects of life hard to manifest. I cried because I am raising small ones in a new generation who really do not understand these concepts. So, maybe the next time I need to flee down the hall and remind myself to breathe I can nix the reminder of “in and out, Elizabeth,” but instead breath “steward” on the inhale and “ship” on the exhale. Breathe, Reader, breathe it in. So love this and totally did the breathing technique! Love ya!